Deepika Padukone and Ranveer Singh are now married and the duo’s super fantastic wedding reception was graced by all the Bollywood Stars! But the highlight was that Deepika’s ex Ranbir Kapoor was seen missing, along with his girlfriend Alia Bhatt! Here’s why Ranbir Kapoor and Alia Bhatt missed Deepika Ranveer Wedding Reception! Deepika and Ranbir dated each other for quite a long period and were one of the most loved couple in Bollywood! Although things didn’t work well with the duo as they parted ways when Ranbir cheated Deepika for Katrina Kaif! Ranveer Singh was Deepika Padukone’s savior! Things between Ranbir and Katrina Kaif ended up soon and he is currently dating Alia Bhatt! Although it is expected that the equation between all of them would be awkward, these four manage to share a beautiful bond where Deepika and Ranbir are great friends and so are Deepika Alia and Ranbir Ranveer! The appearance of Deepika Padukone and Alia Bhatt on the Koffee Couch together was a proof of it! While Alia showed up a lot of excitement about Deepika and Ranveer’s Wedding, both Ranbir and Alia were not seen at the Wedding Reception while all other stars where seen gracing the event! 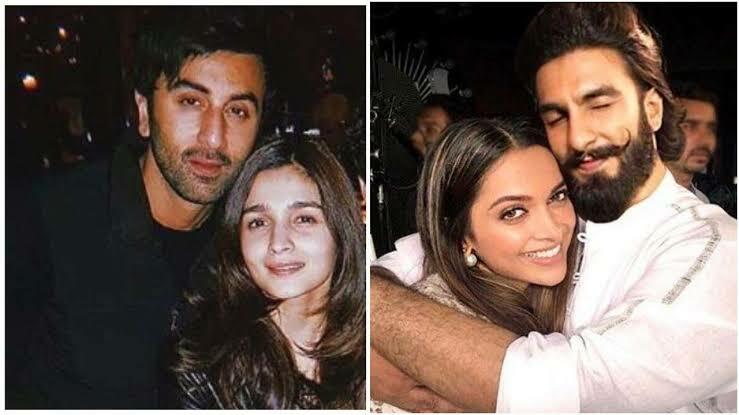 Well, the reason that has come out for Alia Bhatt and Ranbir Kapoor not attending Deepika and Ranveer’s Wedding Reception is that the duo had been shooting for 20 hours for their upcoming science-fiction movie, Brahmastra and hence had no energy left to attend the Wedding reception! 2019 में पूरे टीवी जगत पर राज करेगी ये 10 अभिनेत्रिया, सभी है दिखने में बेहद खुबसूरत!